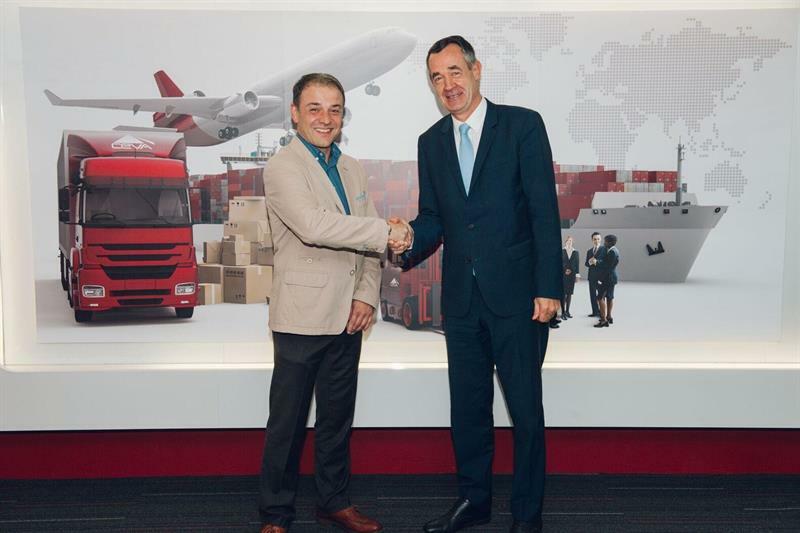 CEVA Logistics and Goodpack, which operates the world’s largest fleet of Intermediate bulk containers, have agreed to extend the long-term nature of their working relationship by entering into a strategic alliance. A key driver for the alliance is both companies’ desire to provide advanced digitisation and innovative solutions for the tyre industry. As part of this new alliance, the two companies have developed TYRECUBE, an intelligent and returnable container for tyres with data acquisition capabilities. TYRECUBE is a patented collapsible and stackable container, providing an innovative method of moving tyres worldwide. By simplifying complicated movements characterised by short order-to-delivery cycles, the teams hope to deliver measurable value to the global tyre industry. Traditionally, the loose loading of tyres has been a very labour-intensive and manual process, with minimal automation and little visibility. TYRECUBE as transport and storage module helps avoid loose loading and provides a better protection of the tyres. : it works for approximately 90% of all tyre types.